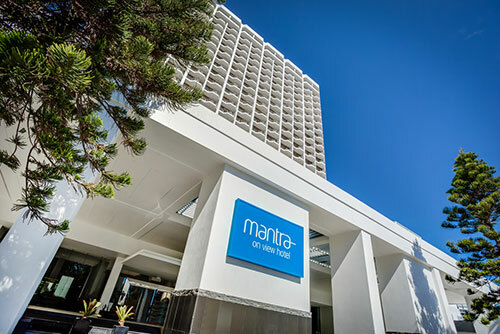 Positioned right in the heart of Surfers Paradise just 160 m from the beach, Mantra on View Hotel is an ideal choice when visiting Queensland's famous Gold Coast. Every room within this Surfers Paradise accommodation provides all of the facilities you need to make yourself at home. Accommodation is available at the conference venue. Please quote the University of Newcastle for special conference rates. Ocean view rooms available on request. Other accommodation options are available on the Gold Coast ranging from five-star to budget. 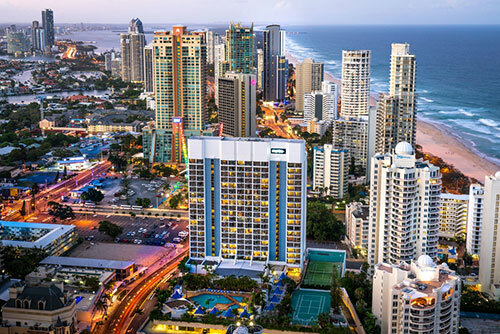 The Q1 building with its SkyPoint observation deck towers over Surfers Paradise beach, which has a vibrant nightlife scene, a beachfront market and casinos. Main Beach’s shops and restaurants lie along Tedder Avenue. Hotels line the canal system, which has its own inland beaches, such as Budds Beach. Surf breaks such as Snapper Rocks and Burleigh Heads are among the most popular in the country. The David Fleay Wildlife Park protects emus, kangaroos and koalas. Other natural areas include Tamborine National Park, with waterfalls and trails, and Tamborine Rainforest Skywalk, an eco-park with an elevated boardwalk through the tree. Persons holding valid passports from countries other than Australia or New Zealand generally will require an entry visa. Visas can be obtained from the Australian High Commission, Embassy or Consulate in your country. For further information regarding Australian entry conditions and visas, please visit this page. If a letter of invitation to attend the International Conference on Bulk Materials Storage, Handling and Transportation from 9th - 11th July 2019 is required for visa purposes, please contact Danielle Harris.